Ship operators cannot control energy prices, government policies or the global economy, but they can improve the way they manage energy onboard their vessels. Slow steaming, efficient route planning, careful bunkering operations – all combine to reduce both energy cost and consumption. An increasing number of organizations in the shipping industry are committing to ISO 50001, the energy efficiency standard applied to organizations in industries around the world. In recognition of this Videotel is supporting the industry with its new ISO 50001 Energy Management Training Course. Turbulent seas and extreme weather can make sailing conditions perilous. Having a crew who are trained to understand how to minimize risks and manage the vessel under duress can make all the difference when trying to avoid loss of life. 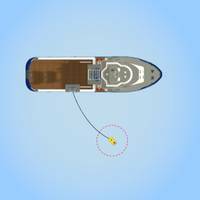 Deep Water Handling, a brand new training program from Videotel Marine International, examines the situations ships face in deep water and advises how best to address them. 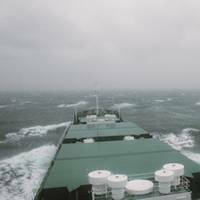 Nigel Cleave, CEO of Videotel, said, “Seafarers clearly can’t control the weather. 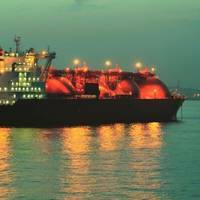 With its latest offering, Videotel said now provides a more extensive portfolio of training for the LNG sector. Working with experts across the globe – BP Shipping, Shell, Maersk and SIGTTO, among others – the company said it has created a package of training covering the essentials required when operating in this important market. Nigel Cleave, CEO of Videotel Marine International, said, “Twice as many LNG carriers are operating today compared with five years ago, leading to a growing demand for quality training in the sector. With ECDIS training continuing to be high on the shipping agenda, Videotel, in conjunction with Safebridge, now offers participants an entry into three times as many type-specific ECDIS modules as its nearest competitor. 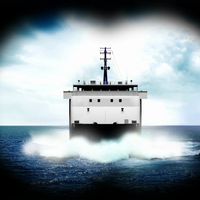 “With constant demands for greater flexibility from crew and STCW requirements calling for proficiency in working with the specific type of ECDIS system found on board, bridge personnel have to ensure they have the right training to work on the equipment they are given,” explained Nigel Cleave, CEO of Videotel Marine International. Videotel Marine International, a maritime training solutions provider, has released an Application Programming Interface (API) service in order for its clients to be able to manage their crew training records housed within webFTA - Videotel’s powerful cloud-based training records management program - directly from their own Crew Management System (CMS) portal. Videotel’s API service has two main processes, Videotel said, namely, pulling crew data from the Videotel cloud so it can be displayed in the CMS portal and, secondly, pushing crew data from the CMS portal to the Videotel cloud which, in turn, triggers crew data to be sent to the vessels automatically. The risk of collision at sea is a hazard to which all shipowners and seafarers are exposed, regardless of ship type or trading area. The International Regulations for Preventing Collisions at Sea (COLREGS) provide a complete code that, if properly understood and applied, should avoid ships ever coming into collision. However, the club’s claims experience reveals a persistent frequency of collision incidents albeit with year on year variations in severity. The most serious collision incidents have the potential to involve a very broad spectrum of P&I liabilities. 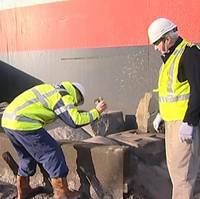 Chemical Tanker safety comes into sharp focus in a new training course from leading maritime training provider Videotel Marine International. The newly-launched Advanced Chemical Tanker Course has been developed in conjunction with the Chemical Distribution Institute (CDI), with the involvement of some of the biggest names in the chemical tanker industry. 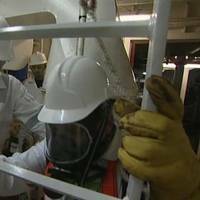 Nigel D. Cleave, Videotel CEO, explained the thinking behind the initiative, “Chemical companies employ some of the highest quality workforce and demand the highest quality training for that workforce. 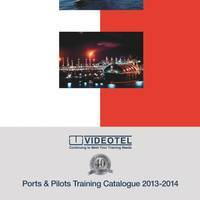 A new catalogue from Videotel will be launched at the UK Marine Pilots Association (UKMPA) Conference in London. With its 40 year commitment to the maritime industry, Videotel provides the range of training materials demanded from those undertaking pilotage and port operations and has created a wide portfolio of specialist training which is covered in its new Ports and Pilots catalogue. Ports and Pilots courses are delivered through continuous training assessment using Videotel’s cloud based Continuing Competency Manager (CCM). Two new Videotel on Demand (VOD) on board training units presented to the IMO on behalf of Videotel Marine International by Stephen Bond, Deputy Chairman and Nigel Cleave, Chief Executive Officer. Visitors to the IMO on Tuesday were surprised to find an impromptu training session taking place in the Maritime Knowledge Centre when Mr Koji Sekimizu, Secretary General of the organization, was given a demonstration of Videotel’s second generation on board training system, Videotel on Demand (VOD) G2. 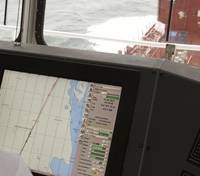 For 40 years, Videotel has provided the maritime industry with training for seafarers on key important issues such as safety, legislation and technology. This year, to mark its 40th anniversary, Videotel released its latest training catalog, STCW Maritime Training Catalog 2013-2014, which comprises more than 800 new and updated titles. It also reflects Videotel’s blended training approach for video, computer-based training (CBT) and interactive courses, available in some 29 languages. “We still hold true to those values today by carefully researching our programs, filming on location onboard ships and selectively using animation as and when circumstances dictate. Nothing, however, can achieve the emotiveness of film. As more deaths in enclosed spaces are reported this week, a call to action is needed and the industry must take note and bring this issue to the attention of each and every seafarer. 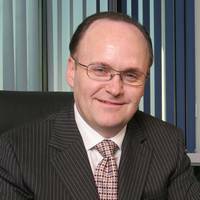 “More must be done,” said Nigel Cleave, CEO of Videotel. 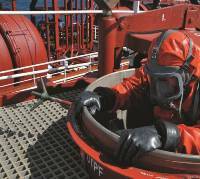 “Every seafarer should be made aware of the risks of enclosed spaces – indeed have the message reinforced at every opportunity - there is no justification for another death. Of course with such a history of repeated, tragic accidents, something must change. Videotel Marine International announced that the United States Coast Guard (USCG) in Yorktown, Virginia, which trains Port State Control Officers, has taken delivery of three Videotel on Demand (VOD) units. The units are pre-loaded with top quality marine safety and operational training videos, computer-based training materials (CBT) and instructional courses. Comprehensive and interactive, the training material will be used by the USCG to augment existing Port State Control Office training. 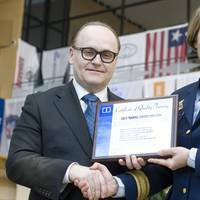 "We are delighted to be supporting the USCG's efforts," said Nigel Cleave, CEO of Videotel. Accident investigation is a painstaking and often painful process and, more often than not, theoutcome is a raft of new policies and measures to avoid reoccurrence. Yet, if well thought out and established company procedures are followed in the first place, tragic consequences can be avoided. In response to the renewed focus on training in this area Videotel has launched a new training series, Leadership and Team Working Skills, which takes as its foundation the importance of good resource management and how it can be achieved. 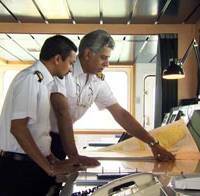 The International Convention on Standards of Training, Certification and Watchkeeping for Seafarers (STCW) aims to achieve for the shipping industry what increased technology has so far failed to deliver, namely a reduction in the 80% of accidents on board ship attributable to human error. Proper training and evaluation can make a real difference to these damning statistics and Videotel‘s newly launched STCW training programs provide the tools to assist the ship owner and manager make a real difference. Ship operators concerned about complying with the newly enforced garbage management rules can now turn to Videotel for support. 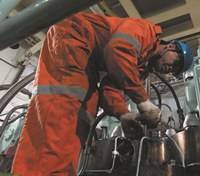 Important new updates to MARPOL Annex V entered into force on January 1, 2013 and have revolutionised the way the industry must look at the issue of waste disposal. In response to this, Videotel has extensively updated its Garbage Management training program to accommodate the radical shift of emphasis the new legislation entails. 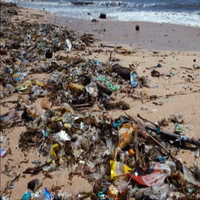 “Garbage isn’t high on the agenda for many senior executives in most businesses,” says Nigel Cleave, CEO of Videotel Marine International.